Image © Disney / Jimmy DeFlippo, photographer. Used with permission. 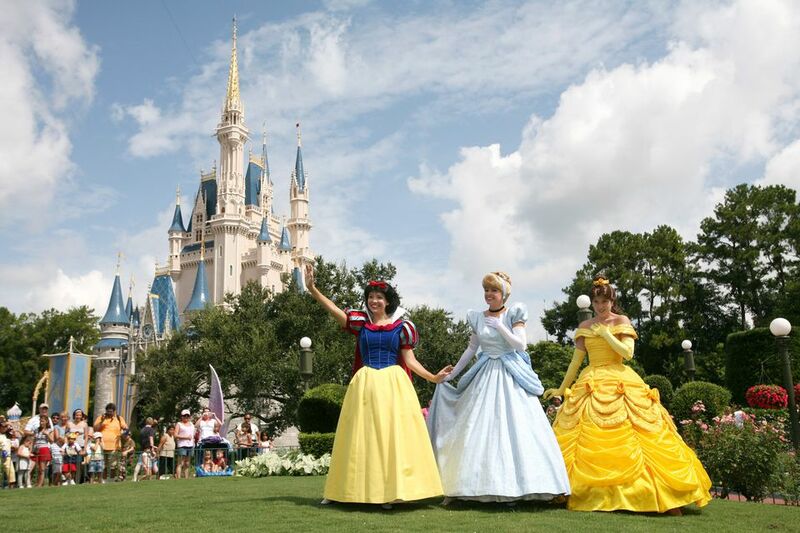 With attractions designed to appeal to kids of all ages, the Magic Kingdom is one of the highlights of any Walt Disney World vacation in Orlando, Florida. Whether you arrive by car, monorail, bus, or boat, getting there is a big part of your day, and how quickly you arrive can really impact the quality of your visit. Take too long to get there, and you will arrive to long lines at your favorite attractions no matter how early you leave your hotel. As a result, you may want to consider staying at one of the nearby resorts and take the monorail or a boat to arrive right at the time the gates open. Guests at the Grand Floridian Resort, Bay Lake Tower, Polynesian Village, or the Contemporary can take the monorail to the Magic Kingdom while guests at Wilderness Lodge & Boulder Ridge Villas and Fort Wilderness Resort & Campground can take a boat or bus. Meanwhile, guests at other Walt Disney World resorts only have access to the bus for transportation to the park. No matter what means of transportation you take, all guests of Disney's Magic Kingdom must go through an airport-style security screening, either at their resort before departure or at the Magic Kingdom Transportation and Ticketing Center (TTC). You can travel to the Magic Kingdom by car whether you stay in a Disney Resort or not; however, resort guests park for free at any of the theme parks. Many die-hard Disney fans choose to travel by car when a monorail or boat isn't available. Additionally, driving allows you to transport your family in a familiar vehicle, with car seats if you need them. There are a few downsides to driving. Be aware that when you travel by car, you will not park near the theme park entrance. You will need to leave your car in a parking lot and take the tram to the TTC, then travel by ferryboat or monorail to the gates of the Magic Kingdom. If you have arrived early enough, it may be faster to skip the tram and simply walk on the sidewalk to the TTC to get on the monorail. Fortunately, there are three main forms of public transportation with services to Walt Disney World's Animal Kingdom you can take instead (or from the parking lot): monorail, boat, or bus. Travel by Monorail: One of the best perks of staying at a Deluxe Disney resort is the monorail. If you are staying at the Contemporary, the Grand Floridian, Bay Lake Tower, or the Polynesian, the monorail is the fastest (and most fun) way to arrive at the Magic Kingdom. However, guests staying at the Contemporary or Bay Lake Tower can walk to the park faster than by taking the train. If you are traveling with preschoolers, choose the monorail if possible, many list it among their favorite Disney World rides. Travel by Boat: Guests staying at Magic Kingdom Deluxe resorts or Fort Wilderness have the option of traveling to the park entrance by boat. This is an excellent option if the weather is good, and if you see a boat approaching because if you arrive when a boat is departing, you may have to wait up to half an hour for the next one. If you do manage to catch a boat, it will deposit you right at the park entrance, and you will not have to take the ferry or monorail to enter the park. Travel by Bus: If you are staying at any Disney World resort, you can take the complimentary bus transportation to the Magic Kingdom. The bus will deposit you right at the Kingdom itself, so you won't have to worry about parking or the tram. However, this means of transportation can be a great way to travel from some resorts but an excruciating way for others. If you are in a very large resort with many bus stops, you may be in for a very long bus ride. Several of the Moderate resorts, including the Caribbean Beach and the Coronado Springs are notorious for long delays, while others, like the Port Orleans and the deluxe Animal Kingdom Lodge have one centrally located bus stop so they stop only once before heading for the theme park.